MIAMI – Small business owners eager to connect with more customers online can learn how at Miami Dade College’s (MDC) North Campus, which is partnering with Google Get Your Business Online. The duo is hosting a series of workshops in English and Spanish from Wednesday, Oct. 24 through Friday, Oct. 26 to help businesses get their products and services found online and create a marketing presence. Important, since small businesses are the growth engine of the economy, creating two out of every three new jobs, and businesses that are online grow 40 percent faster. Workshop topics in English and Spanish include: Sharing Your Story through Online Video, Make Your Website Work for You, and Intro to Online Marketing. 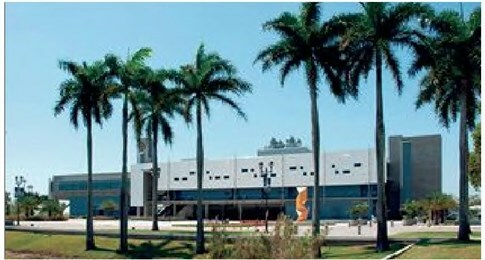 Visit www.mdc.edu/GoogleDays to register and for workshop descriptions. WHERE: MDC’s North Campus, Room 2151 11380 NW 27th Ave. CONTACT: For more information, call 305-237-1562 or email MDCNGoogle@mdc.edu.